We’d love your help. 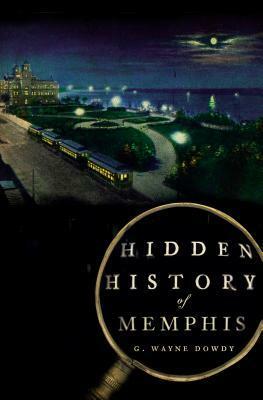 Let us know what’s wrong with this preview of Hidden History of Memphis by G. Wayne Dowdy. To ask other readers questions about Hidden History of Memphis, please sign up. A series of short historical narratives combine to make this a quick an fascinating read, particularly for a lifelong Memphian like myself. Check out Mr Dowdy's other excellent scholarship on the Crump machine that ran Memphis politics for nearly half a century. Just okay. Enjoyed the chapters on the Boy Scout who helped catch a German spy during WWII and the building of the public library, but there wasn't much about music and important historic buildings. Most of the book was related to Crump's years as mayor and political machine. Interesting tidbits of history about Memphis.